Looking for the most highly recommended Da Nang attractions when travelling to Vietnam (Việt Nam)? You are exactly at the right place! Comfortably nestled between Hue (Huế) and Hoi An (Hội An), Da Nang (Đà Nẵng) is one Vietnam’s east coast. Being the third largest city in Vietnam, Da Nang benefits from fantastic shops, restaurants, and tree lined boulevards. Da Nang is reckoned one of the incredible backpacking destinations, which is unfortunately overlooked by many tourists who find themselves being short on time. However, unlike other neighboring towns, tourists just stay here for about 2 days on average that is a shame as in fact there are so many Da Nang attractions to visit. The popular theme is to fly and or catch the train into Da Nang and then head up to the fascinating UNESCO World Heritage Site – Hoi An, just 30 kilometers away. Oftentimes, people consider Da Nang simply as a transit stop. It is such a shame for a lot of great Da Nang attractions! Generally, Da Nang has had a tragic but fascinating history. Nowadays, the history of Da Nang is all but a distant memory for the youth and people who visit the city. This city hosts a lot of religious sights as well as noteworthy museums, iconic beaches, and even a theme park. Touted as one of the twenty cleanest cities in the global and the most livable city in Vietnam, Da Nang, in general, and Da Nang attractions, in particular, is really a destination that tourists, both local and international could not afford to miss. Annually, this beautiful city hosts an international fireworks competition to lighten up the sky in just one night, thereby luring visitors and artists worldwide. If you find yourself in this city, just make sure that you do not skip any among top 17 great Da Nang attractions introduced here. 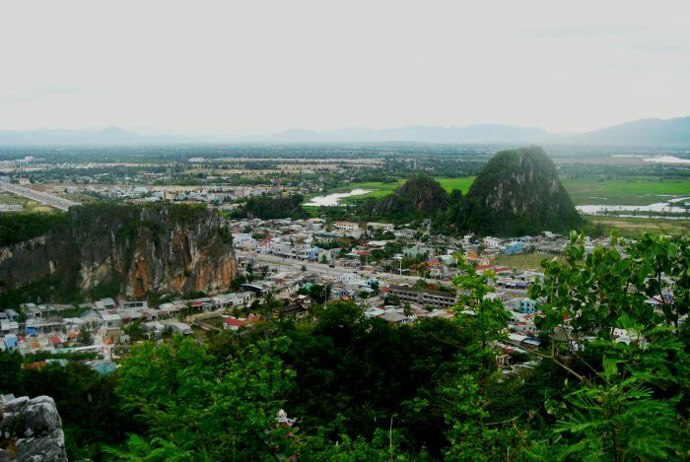 The first one in the list of must-see Da Nang attractions that tourists cannot skip is Marble Mountains (also known in Vietnamese as “Ngu Hanh Son” or “Five Elements Mountains), which are a cluster of limestone and marble hills that are just 9km away from the city center. It is a group of 5 marble and lime mountains, which were named after the five major elements of the ancient oriental philosophy: wood, metal, water, earth, and fire. These mountains have many caves, Buddhist shrines, and tunnels. In the past, these caves were used as the hiding places and crucial bases for Vietnamese revolutionaries. Among the five marble and lime mountains, Thuy Son (Thủy Sơn) is the mountain of water, which is the highest one as well as the major attraction. 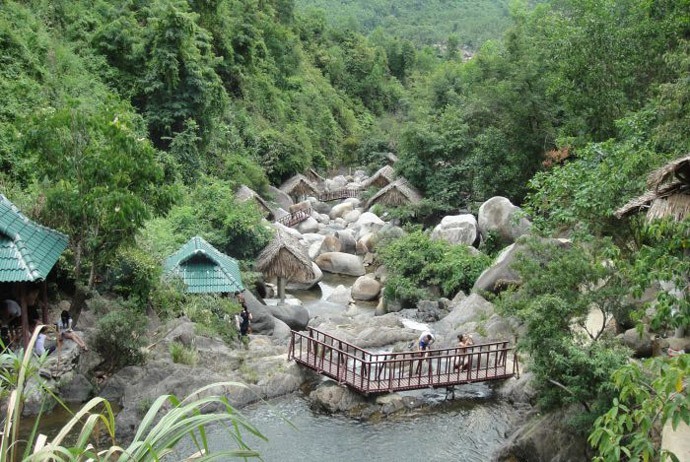 Most tourists come to Marble Mountains in order to climb Thuy Son. The mountain has a series of caves as well as Buddhist temples. If you climb up about 150 stone steps from Thuy Son’s foot, you will reach the nicest observatory spot: the Vong Giang (Vọng Giang) Tower, also known as Riverview Tower. This tower was established in the 18th century by Emperor Minh Mang, providing a spectacular view to the mountain of metal – Kim Son (Kim Sơn), Cam Le (Cẩm Lệ) and Truong Giang (Trường Giang) rivers, and beautiful coastal ahead. For many years, the hills were mined by local companies for their valuable stone, despite that has been recently banned. Tourists could climb to the summit of the mountains to admire the spectacular views of the entire area. The drinks and trinket sellers could get a little annoying yet the climb up to the top is really a worthy reward. Besides, there are lots of photo opportunities to take for travelers. At the foot of Marble Mountains, visitors might also want to visit the Non Nuoc (Non Nước) village, which is well-known for handicrafts and stone sculptures. Here, tourists could purchase many products made of marble stone, from little one like earrings, necklaces to vases, or huge sculptures of Buddha. A long time ago, rock was extracted right directly from the Marble Mountains in order to create sculptures, yet now the direct extraction is banned and considered as illegal. Materials for sculptures are transported from those nearby provinces such as Thanh Hoa (Thanh Hóa) and Quang Nam (Quảng Nam). If you want to visit Marble Mountains, you have a variety of choices from the city center of Da Nang. You can book a tour or simply take a taxi, even a motorbike-taxi. After a few minutes, you could reach this destination. And, from Hoi An, drive north about 20 kilometers, you can see a big sign of the Marble Mountain. Son Tra Peninsula, when it comes to Da Nang attractions, is a beautiful rainforest that is only 13 kilometers far from Da Nang’s city center. 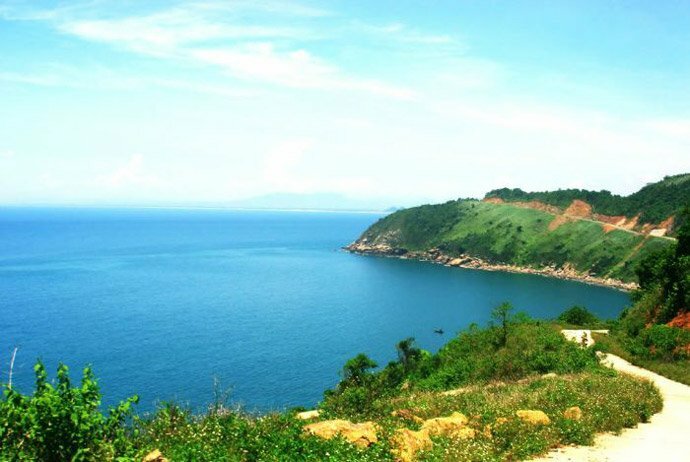 Belong to Son Tra District, Son Tra peninsula is a typical tourism magnet of Vietnam. White sand, untouched natural sites, transparent sea, and mysterious primitive jungle with a huge diversity of animals and plants are what make this destination a worthwhile visit for all tourists. With the size of more than 4000 hectares, this place is really massive. You can rent a motorcycle or a scooter to ride along the road and check out the nature reserve. 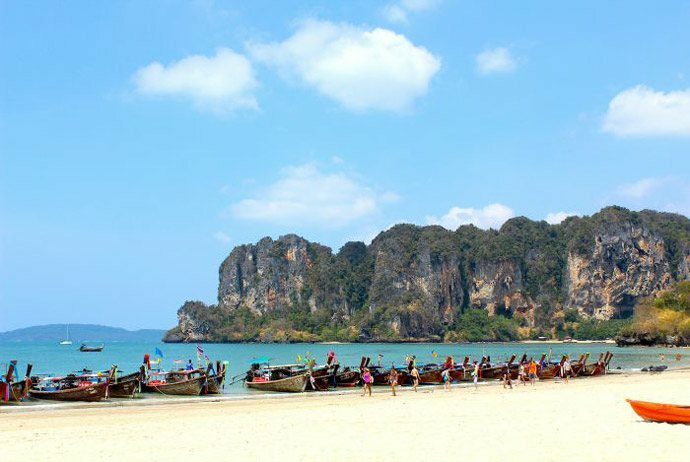 There are a number of famous beaches in Son Tra peninsula, and some of them have achieved quite fame so far, including North Beach, Buddha Beach, and South Beach. These beaches take turns to embrace the giant primitive jungle that houses thousands of precious animals and plants. Besides, under the surface of the refreshing, cool seawater, there is a variety of great coral reefs, enabling scuba diving services to develop in the fast rate in a few recent years. Do not skip staying at one of villages established on the mountains if you have an opportunity to visit Son Tra peninsula. These comfortable villages will give you the ability to witness beautiful beaches as well as jungles, and also supply you with an invigorating and fresh atmosphere. Also, you could enjoy your hobby of fishing and get to know the lives of inhabitants here. For those who want to escape from the hustle and bustle feeling of busy cities and look for somewhere peaceful to relax, Son Tra peninsula is an ideal choice, which will give them a real feeling of a different Vietnam. Moreover, this destination, among other Da Nang attractions, is best for couples, families, and solo tourists. The most spectacular one regarding to Da Nang attractions is Hai Van Pass. It was famous in an episode of the TV show – Top Gear. Now, it becomes a dispensable item of a bucket list for thousands of motorcycle enthusiasts as well as amateurs. 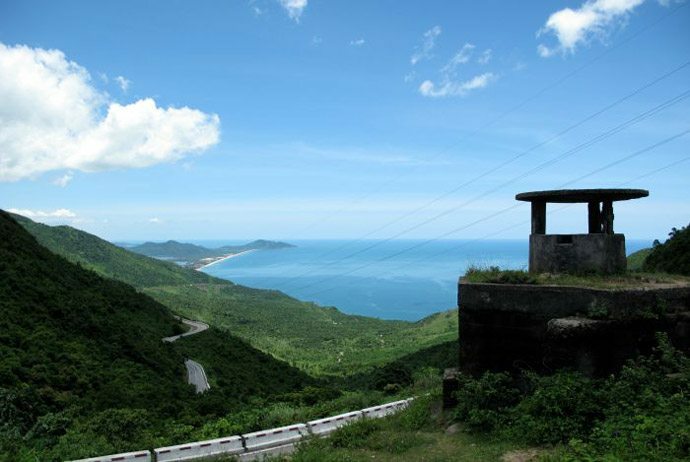 Just about 21 kilometers mountain pass between Hue and Da Nang, Hai Van Pass offers some incredible ocean views which are not similar to anywhere else of Vietnam. This is the highest pass in Vietnam, located about 1,500 kilometers above the sea level. The name means “pass of the ocean cloud”. From the peak of this pass, you could witness spectacular views of Da Nang city, Tien Sa Port (Cảng Tiên Sa), Son Tra Peninsula, and the sea. The winding road over the pass has the lush jungle on one side and the sea on the other side, and from far away it looks like a ribbon squeeze between the blue sky and the land. Occasionally, this pass is so cloudy that tourists feel like they are entering into a mysterious and fanciful world. On those sunny days, this pass is a great destination for dazzling panoramic views over landscapes around. The road up Hai Van Pass is a great drive made safer now and most traffic uses the Hai Van tunnel to transport. Less traffic means you could spend more time on looking at the breathtaking views and stopping to take photographs. The spectacular Hai Van Pass is really perfect for a relatively safe, easy and short motorbike trip between the popular tourists spots of Hoi An/ Da Nang to the south and Hue to the north. According to a motorbike trip enthusiast who used to travel through Hai Van pass, he said that after about one hour riding from Da Nang, he hit the pass, and it is a breathtaking climb to the top, with just a few other motorbikes and an occasional truck. And, the ride down the other side of the pass is even better. Combining nature and the creations of humans, Hai Van Pass deserves the name “the most marvelous wonder” as given by Emperor Tran Nhan Tong (Trần Nhân Tông) in 1470 when he passed there. Nowadays, Hai Van Pass is used mostly for tourist development and sightseeing goals. A visit to this pass will definitely satisfy any desire to conquer Hai Van peak, and you will surely enjoy yourself in such a stunning natural scene. The next Da Nang attractions will definitely not disappoint you. Take a look! 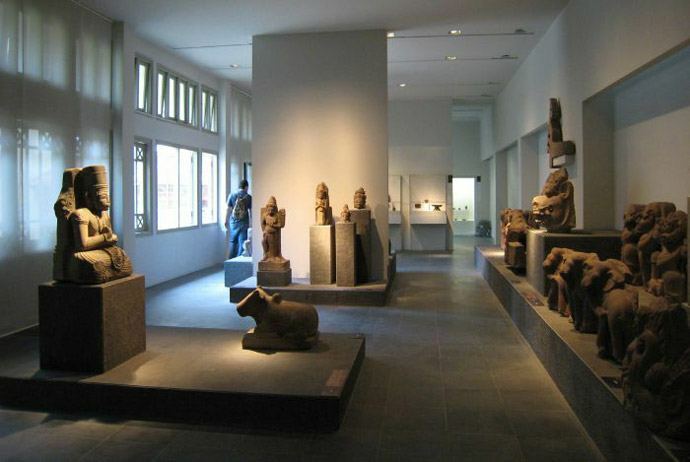 The museum of Cham sculpture is situated at No.02, 2/9 Da Nang City. This is a unique place in Vietnam and also in the world research about Champa culture. It is the creativeness, which is based on Champa ancient art. Small but unique, this site is appreciated by many architects as one of the most beautiful architectural museums in Southeast Asia and in the world as well. Driving approximately 50 kilometers from the city center of Da Nang, you can reach one of the most wonderful sights I bet that you would have ever visited. During the French colonial period, Ba Na (Bà Nà) Mountain was used as a summer retreat. Located at about 1,487 meters above the sea level, with a temperate climate, Ba Na Mountain is deserved one of the most worth-visiting Da Nang attractions – a real treasure of Vietnam. 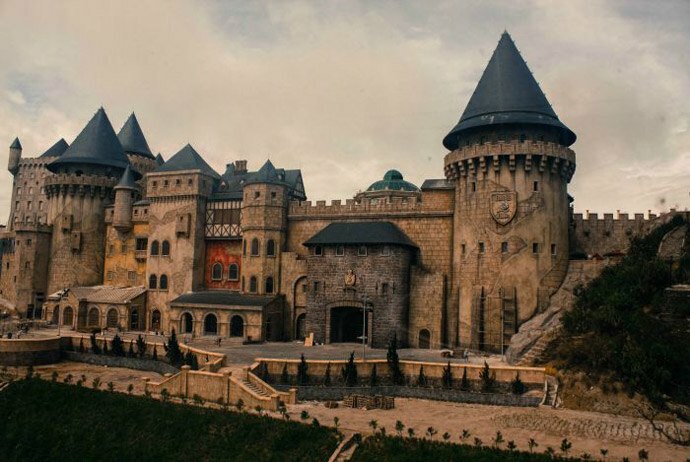 Tourists come to this place for many reasons, yet nobody could deny that the fresh and rejuvenating atmosphere along with wonderful scenery of Ba Na affect to them the most upon deciding to visit this unique land. In order to reach to the top of Ba Na Mountain, you would have to get over a 15km zigzag road if you visited about 3 years ago. However, fortunately, today you can take advantage of the longest cable car system in the world built here to get to where you want to come. No one has to bear the taunting and long 15 km trip anymore. Still, if you are an adventure, you can do, but it is highly recommended to take the cable car. It is not all about the safety, but about the rewarding experience you can gain of looking a vast scenery of Da Nang City, and other Da Nang attractions, including Hai Van Pass, Vung Thung (Vũng Thùng) bay, Son Tra Peninsula, My Khe Beach, Thu Bon (Thu Bồn) River, Marble Mountain, Cu Lao Cham (Cù Lao Chàm) island, and more. It will take just about 15 minutes for the cable car to carry tourists to the top of mountain in compared previously to almost one hour by road. Even under the cover of clouds, the top of this mountain is a beautiful place; yet, to be honest, it is just really worth seeing on those sunny days when you could witness the views more clearly. As Ba Na owns a diverse ecosystem, such as primitive jungles housing 256 animal species along with 543 plants species, the development of eco-tourism is really noticed for recent years. Additionally, since the beginning of the 20 century, many resorts, villages, and hotels have been established on King Mountain (Núi Chúa) and Ba Na Mountain’s slopes. In reality, even the wars have damaged a huge part of these constructions; they have been well restored to their former glories. Now, Ba Na welcomes thousands of domestic and international tourists from all over the world annually. Besides, Ba Na provides a myriad of accommodation: hotels, villas, rest houses, and bungalows that could help tourists take a relaxing rest after visiting a lot of places. On the other hand, foods and drinks are provided by restaurants, along with recreational activities like billiards, karaoke, and electronic games. In conclusion, the perfect combination of stunning mountainous landscapes, fresh air, modern cable car system and well-equipped villas and hotels make Ba Na Mountain Resort one of worth-visiting Da Nang attractions and an ideal place of relaxing after hard working days. Keep reading this checklist to explore other breathtaking Da Nang attractions! Da Nang is situated on the west side of the Han River and the beaches are situated to the east. This bridge is the first bridge that Vietnamese architects as well as workers designed and built. Was built by Da Nang locals, Da Nang holds a special place in the pride of Da Nang people for their city. 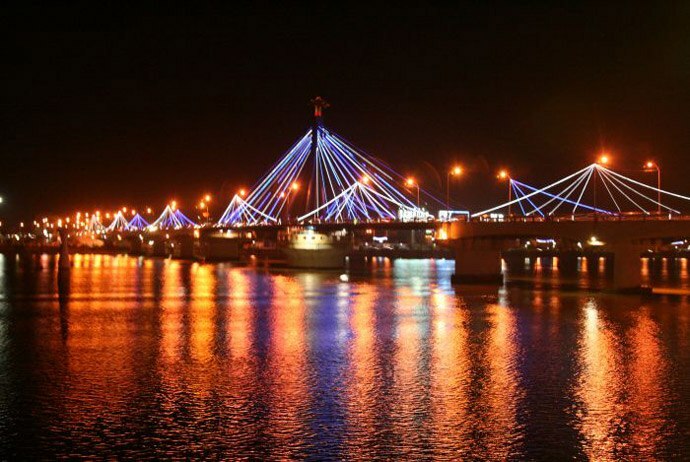 This bridge is a unique swing bridge to be established and it is also a crucial part of the cityscape of Da Nang. 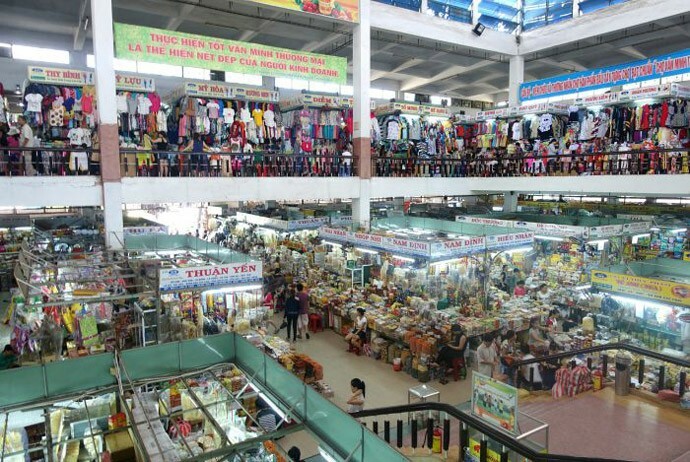 Han Market is situated in Da Nang’s heart city center that offers 28,000 square meters of noisy shopping chances for tourists. Despite Han Market is easily accessible, it is not for those fainthearted or those people who are looking for olfactory pleasure. Located at the grand intersection of Bach Dang (Bạch Đằng) Street, Tran Phu (Trần Phú) Street, Hung Vuong (Hùng Vương) Street, and Tran Hung Dao (Trần Hưng Đạo) Street, this market holds a crucial position in Da Nang’s history. In the past, Han Market was just a modest trading venue for those small businessmen, and now the ideal and convenient location that has enabled it to grow into a big trading center near Han River, from those people who named it Han Market. Not only is Han Market one of the most popular Da Nang attractions that tourists should visit, but also is the place for important trading activities of Da Nang. A plenty of goods are sold out here, including fresh foods like veggies, fruits, meats, and fishes; and clothes. Nevertheless, the most special thing you can find at this market might be fish sauce: the familiar but unique food of the Central Regions. Aside from various choices of goods, Han Market also attracts a large number of people by its low prices. The goods stored here are gathered before being distributed to many smaller markets in Da Nang. If you are looking for some souvenirs symbolizing for Da Nang before heading home, then Han Market is your perfect choice. Some specialties that could be found in Han Market include Chili paste, Ly Son garlic, dried rice crackers, and dried squids. At the front of this market, there are some fruit stalls that have abundance of tropical fruits, from bananas to jackfruits. The best times to visit Han Market are between 6:00 and 11:00 and after 16:00. That is the time when this market is bursting with activities. Visitors could reach Han Market by motor taxi or taxi. Situated in such a busy neighborhood in Da Nang’s center, Cao Dai (Cao Đài) temple is really worth visiting, despite it is not nearly as spectacular as many other Da Nang attractions. This temple is simple from the outside, and an inattentive passerby can easily skip it. The best time, also the most colorful time to visit is when the noon prayer is celebrating, yet you should be respectful and wait till the prayers have finished. Once finished, you can feel free to wander inside in order to check out the interesting interior which is decorated with typical Cao Dai ornamentation. This temple is popularly open to tourists as well as quiet outside prayers. Tourists could also wander around the grounds and take a look at the display of artifacts in the building. Hence, if you want to visit some religious Da Nang attractions, Cao Dai Temple gets the top recommendation. This tower is about 70 meters in height, with Gothic style. It was constructed by priest Louis Vallet in 1923, and was the single church established in Da Nang by the French colonialists. Da Nang people call it Con Ga (Con Gà) (also known as Rooster Church) because of the weathercock sitting in the top of its steeple. 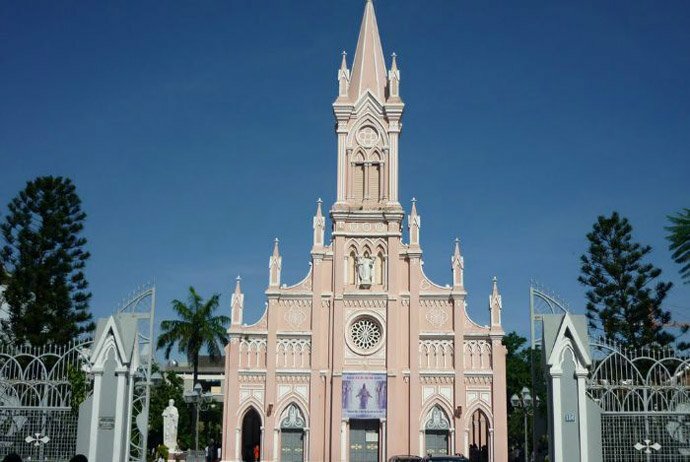 The candy-pink Da Nang Cathedral now serves a Catholic community of more than 4000. Behind the church is a grotto of the Blessed Virgin Mary, which is a replica of the Lourdes Grotto in France. At present, this cathedral offers services in different languages with sermons in English every Sunday at 9:00. Late-comers for services usually find that all seats are taken. There is just standing room for them. To put in general, the Da Nang Cathedral is such a wonderful religious place, in addition to other religious Da Nang attractions, which is well-worth a visit while discovering the beauty of the land and people of this seaside city. 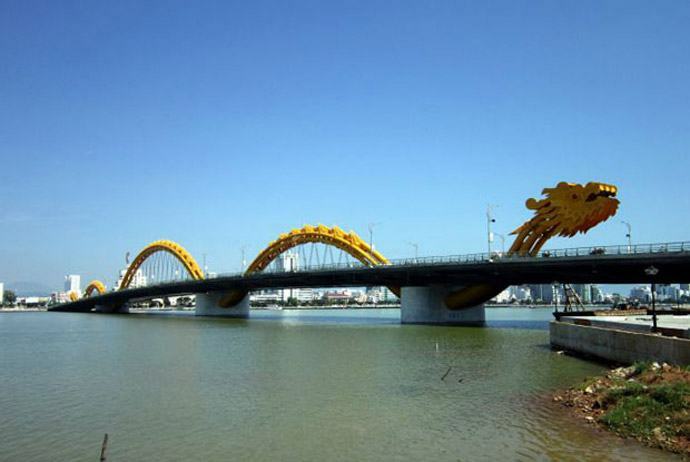 Over past decade, among all the architectural advancements of Da Nang, Da Nang’s bridge, also known as “Dragon Bridge”, is the most proud symbol. Prior to 1997, there were just two bridges on Da Nang’s outskirts. Now, the Rong (Dragon) bridge is the most revered one that is a 166-metre, six-lane steel bridge. It is designed as a dragon flying over the river. Every Friday and Saturday evening, at exactly 21:00, the dragon comes alive, breathes water and fire towards the east. This is really a spectacular display. Even if you just need to visit this bridge in order to absorb the energy of the fresh atmosphere, it is still well-worth timing your visit to Da Nang around this time of the week. In regard to Da Nang attractions, despite there are a lot of beautiful beaches there. Non Nuoc Beach might be still appreciated the most. Being famous by the American war and the TV show, Non Nuoc Beach is reckoned as the most picturesque beach of Vietnam, with 20 miles of white sandy stretch. There are a number of high-end resorts in the vicinity that provide tourists with a rich choice of spa treatments and dining options. 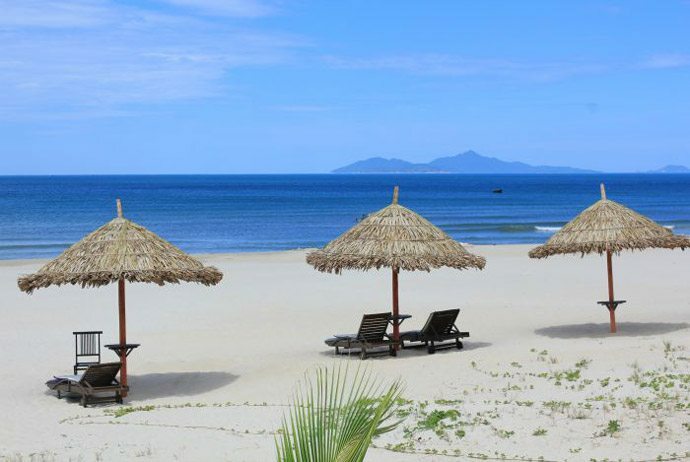 Located about 6km east of Da Nang city’s center, and about 24 km of Hoi An, Non Nuoc Beach is an ideal and huge beach with smooth, white sand and a slight slope. Behind this beach is a dark green forest. Besides, the Kinh River carries crystal water to the sea. This beach has abundant types of coral, plants, and creatures along the bank-side as well as under the sea. Particularly, the beach is adjacent to the city centre, so it is easily accessible by a variety of means of transport. From May to August, the sea water in Non Nuoc Beach is cool with little wave, so tourists can bath almost all year round. The lack of big and large waves, less pollution and temperature around 25 oC – all of these features make it a safe and ideal place for family to enjoy and swim here. Surfing and sunbathing aside, there is also a host of historical sites located close. With various abundant services, creating favorable conditions for visitors on the seashores, this beach is so convenient for both couples, family to relax in. You could come here to rest at weekend. Around the hotel region, there are plenty of restaurants, stalls, and local vendors that traverse the beach to sell all types of foods as well as drinks. Coastal specialties such as fish, shrimps, and crabs, and so on are sold in hundreds of shops around at reasonable price. 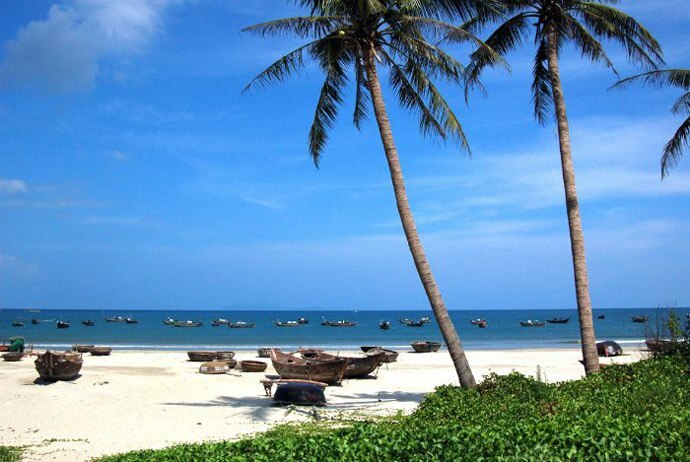 Indeed, with some enabling conditions like near the city’s center, beautiful landscapes, large space, and qualified services, Non Nuoc Beach is currently convenient for developing types of services, including fishing, water-skiing, yacht race, diving, etc. Furthermore, the safeguard team works from 5:00 to 20:00 daily to guarantee the safety for tourists who relax or bath on the beach. Non Nuoc Beach can be reached through Da Nang International Airport, which is served by some flights each day from across Asia. The taxi ride should take less than 25 minutes from the airport to the sand. It is not necessary for you to bring much with you by way of surf gear or clothing because everything you need is locally available. Do not leave your desk until you discover enough 5 left must-see Da Nang attractions! With many beautiful seashores stretching from the north to the south, there are a number of great beaches for tourists to discover and enjoy. One of the most well-known beaches in Da Nang is My Khe Beach. This beach is calm, has blue water during four seasons, is not polluted with 60% salinity, and has high safety level. About 900 meters in length, My Khe beach is considered as one of the most crowded places among many Da Nang attractions and popular to locals. The beach has a slight slope and a dark green poplar forest behind. Beside it, the Kinh River carries crystal water to the sea. My Khe Beach has abundant plants and creatures and coral along bank-side and also under sea. Particularly, this beach is next to the city centre, so it is easy to access by different means of transport. Moreover, the sea water in this beach is cool with little wave, so tourists could bath almost all year round, particularly in summer. There is almost no large wave, and less than average pollution; the annual mean temperature is about 250 C – all of them make it a safe and ideal place to swim for both matures and children alike. 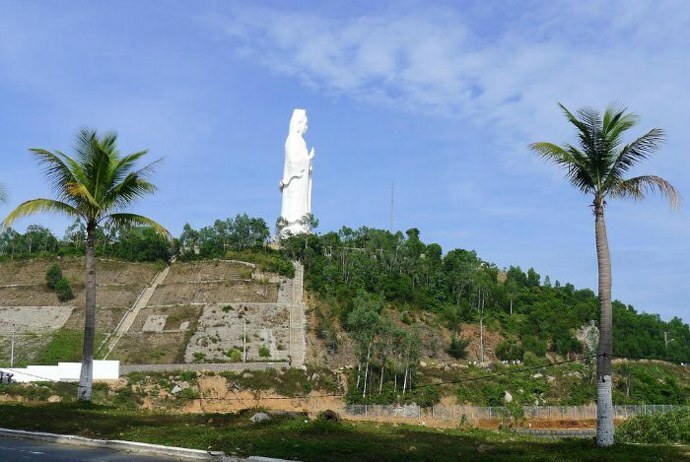 At the base of Ba Na Mountain, just about 30 km west of Da Nang city, tourists can discover Suoi Mo, another one in many well-worth Da Nang attractions. This is really deserved your visit, typically in combination with a trek up mountain. The Ba Na – Suoi Mo route, also known as the Hoang Van Thai extended road project, connects Da Nang centre with the Ba Na – Suoi Mo ecotourism area. This road helps reduce congestion, facilitate trade, decrease road damage caused by heavy trucks driving through the city, and boost access to markets as well as basic social services. The path goes along the river, and tourists will find a few slippery, narrow dirt paths branching out on the left towards the water, giving access to the larger swimming areas. Go further up, there are waterfalls that feed into the river at the point where it passes through the stone canyon. With so much shade, it is a beautiful spot; and whilst it could get a little crowded, it still is a great site for a refreshing dip. While climbing here, you will notice that there are a lot of signs painted on the rocks (of course, in Vietnamese) that warn you where you should not dare to climb. Not much famous as other Da Nang attractions, particularly beaches, Nam O Beach still should not be overlooked if you want to visit a wild, natural landscape without too much artificial renovation. On the borders of the Bay Of Da Nang, tourists will discover Nam O Beach, located about 17km northwest of Da Nang’s city center, north of Son Tra Peninsula. From here, you could get a great view of Monkey Mountain. According to the local people, the name “Nam O” means the south of O District (an old location). The Nam O village used to support itself by manufacturing firecrackers till the government imposed a ban on them in 1995. These days, this village makes fish sauce, also known in Vietnamese as “nước mắm”, and goi ca (gỏi cá), a type of Vietnamese sushi: raw, fresh fish fillets marinated in a special sauce and then coated in a spicy powder. The latter serves with fresh veggies in rice-paper rolls. Tourists will find it for sale on the beach during summer, or look out for it in the village. When there is high tide, it resembles most of coastline running between Da Nang and Hoi An, yet at low tide, a large region of rock and sandy shoreline is revealed, creating the best view. It shelters a large number of rare fish as well as other marine species. People could ride a boat westwards on Cu De River from Nam O Beach, and generate an ecological tour to a ward of minority people in Hoa Bac (Hòa Bắc), Hoa Vang (Hòa Vang) district, Da Nang City. With natural landscapes, gently sloping flat sand, and clean blue water, there are many facilities like restaurants, hotels, water-motors, and parachutes so as to meet the both residents and tourists’ demand of entertainment. From April to August, the sea here is clear, calm and packed with marine life, it makes for such a good secluded snorkeling spot. And, from November to February, also mean during winter, wind swells make it a great surf beach. The beach breaks favor lefts. Sometimes, it gets crowded here. However, surfing here means negotiating dangerous rips. Keep calm and discover 3 left Da Nang attractions! 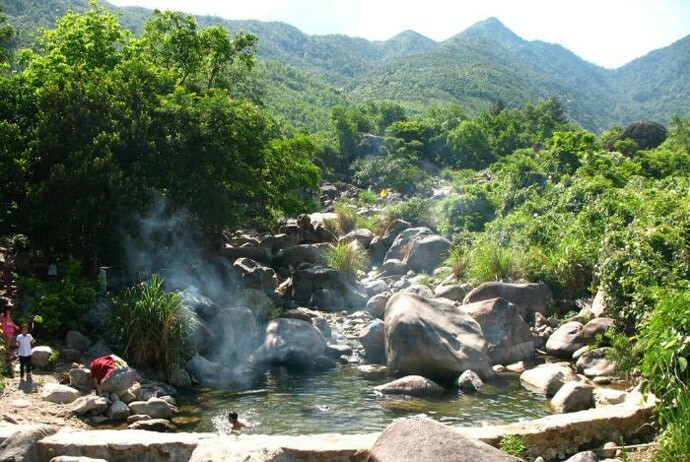 Situated in the Southern Hai Van Pass, Hoa Hiep Bac (Hòa Hiệp Bắc) Ward, Luong Spring Eco Tourism is far about 20km from Da Nang’s city center, to the Northwest. This place gives you the chance to sink in the green forest space. With an area of about 6 hectares, Luong Spring Eco Tourism is an ideal site for unique architecture, which is converged by beautiful Vietnamese cultures. Under the chain-bridge, it is Luong Spring with turtle, elephant, which are sculptured by skillful handicrafts of Non Nuoc trade village. Having Co Tam Lake, market, traditional products and special cuisine like band duc (bánh đúc), Quang noodle, banh bot loc (bánh bột lọc), banh nam (bánh nầm), banh xeo (bánh xèo)…, Luong Spring Eco Tourism also has additional adventure programs, including climbing and exploring Hai Van Son (Hải Vân Sơn). In reality, there are two attractive programs for those who love adventure. Really, visiting this eco-tourism site, visitors will have an opportunity to explore various wonderful landscapes or sink into fresh water in order to enjoy great relaxing time. Just having 1 km in length, Thanh Binh beach is another one of many Da Nang attractions that tourists should not skip. 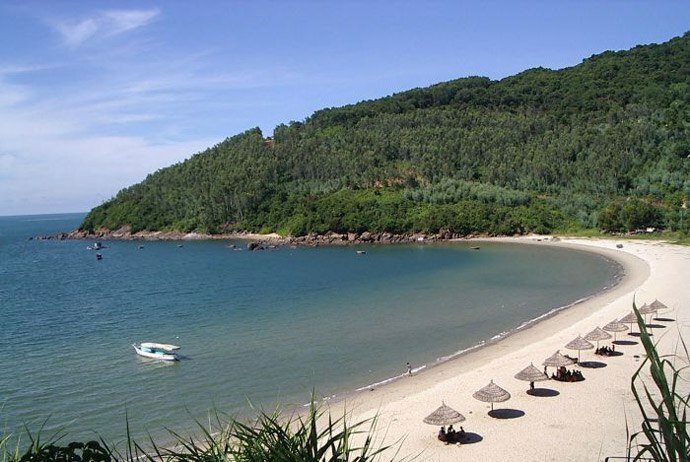 Situated in Da Nang city, Thanh Binh Beach has an ideal length and is tranquil. With the convenient climate for residents, if you come here, you could have chances to enjoy fresh air and play sports on the sand-bank. Though Da Nang owns a lot of beautiful beaches, you still should not omit Thanh Binh Beach as it is one of the most beautiful beaches. Situated on the hill, Linh Ung Pagoda, one of religious Da Nang attractions, has the shape of turtle. It is reckoned not only as the initial processing of Vietnam Buddha in the 21st century but also as the site gathering quintessence of the earth. Face to the Eastern Sea, Linh Ung Pagoda is located on the right of Cham Islands, and on the left of Hai Van Mountain. 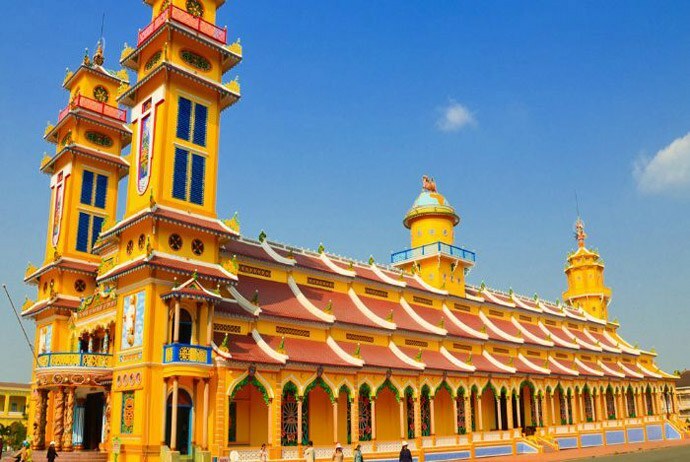 In the past, Linh Ung Pagoda was the evidence for the combination between nation and belief. At the 21st century, it marks the development of Vietnam Buddhism. Reckoned as one of the biggest Da Nang’s pagodas in terms of both architecture and scale, Linh Ung-Bai But pagoda features with a perfect harmony between traditional and modern style. The major area is large and is the most solemn place. Particularly, in Linh Ung- Bai But Pagoda, you will discover Guan Yin statue, which is considered as the highest statue in Vietnam. This statue is 67 meters in height, faces to the sea, and puts the back to the mountain. The above statue is Buddha hood statue that is 2 meters in height. 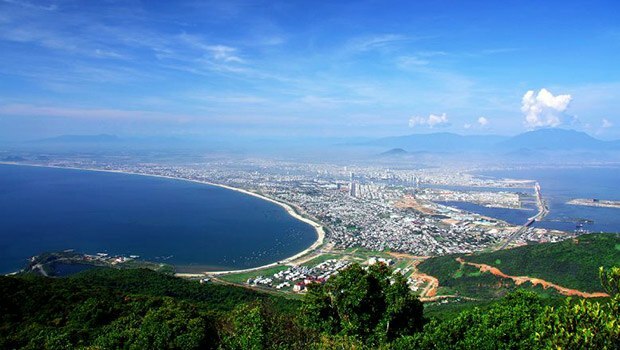 From here, tourists could contemplate the entire of Da Nang City, Son Tra peninsula and mountain. Additionally, from the distance, you can witness Ngu Hanh Son Mountain together with white sand-bank. This wonderful landscape creates a unique impression that tourists could not find in anywhere else. To visit this pagoda, tourists have to drive along the road surrounding the My Khe coastal beach, one of the most beautiful Da Nang attractions. From the foot of Son Tra Peninsula, it takes about 10 km further to get to the entrance of the pagoda. From afar, Linh Ung Pagoda could be easily recognized because of its location set on the highest point on Son Tra Peninsula. Simply put, Linh Ung Bai But pagoda was established in the tourism relic of the city – Son Tra peninsula and now becomes a well-known, attractive tourism site in the beautiful coastal city of Da Nang. While planning your list of Da Nang attractions to visit, arrange Linh Ung Bai But pagoda at the top positions. If you have a chance to visit this pagoda, you will feel the harmony between the human and nature with the sincere belief in religion. And, if Linh Ung Pagoda is the most scared and beautiful pagoda in Vietnam, Buddha beach might be the most beautiful beach on Son Tra Peninsula. It is really a must-see for those who love ecological tours. 20 best Da Nang restaurants: what & where to eat in Da Nang?